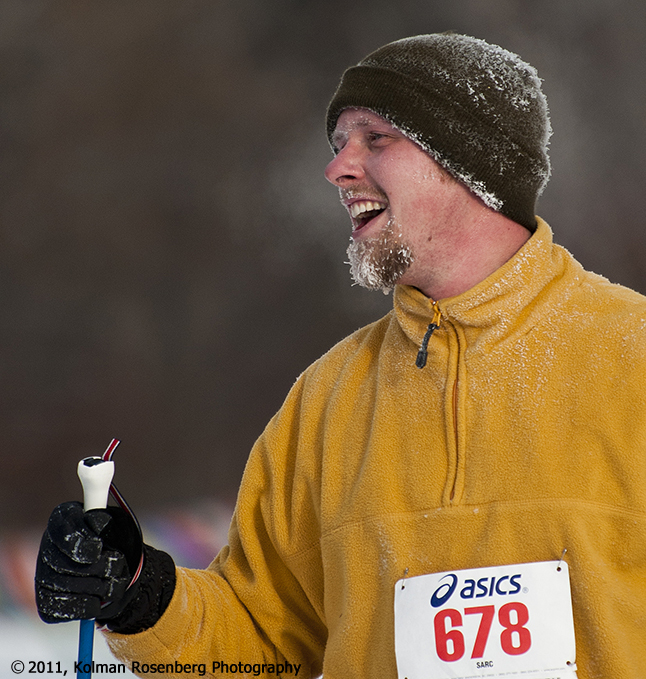 A cross country skier with a frosty beard after finishing the Lake Metroparks Nordic Flurry event. In the Cleveland, OH area we love to complain about the weather. Right now it’s brutally hot and humid but not too long ago we were complaining about what seemed like a never- ending and brutally cold winter. This cross country skier, just crossing the finish line of the Lake Metroparks Nordic Flurry event, is all smiles with his beard coated in frost. Below we see a dog sled team competing in the Punderson State Park Dog Sled Races. 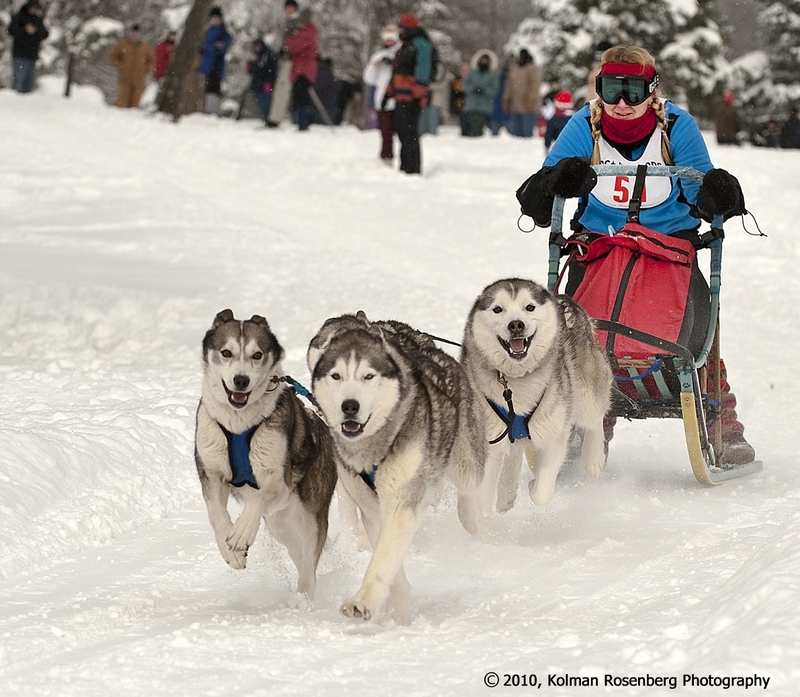 A dog sled team races at Punderson State Park. These photos do 2 things for me. Just looking at them cools me off just a bit. They also remind me of the cold winter and give me a slight bit of appreciation for the hot weather we’re having now! Between winter and summer we had a very soggy spring. Maybe, just maybe we’ll have a beautiful, crisp, colorful fall. I won’t hold my breath for it though. This entry was posted in Uncategorized and tagged Cleveland, cross country, dog, frost, Lake Metroparks, northeast, ohio, Punderson, racing, skiiing, sled, snow, state park, winter. Bookmark the permalink.